In this article, we will discuss ways to treat sunburn. Sunburn is the bane of summertime, thwarting tans and forcing people to cover up. Those UV rays can sneak through and leave you with a painful, itchy red burn, unfortunately, even if youвЂ™ve slathered on sunblock religiously. Sunburn is most common is summers when the sun is too strong, however, not many people know that even if you are in extremely cold temperature and in an area covered with snow, you are prone to sunburn. And thatвЂ™s because ice reflects the sun and that causes you to suffer from sunburn. ItвЂ™s imperative to know that when the sun or other ultraviolet light source hits your unexposed body and exceeds what your skin can handle, sunburn takes place. It is important to know that sunburn damages the natural health of your skin. 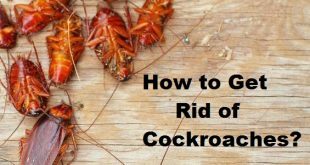 It may even turn your soft skin to rough and coarse skin within a few days. There is no antibiotic as such which can help treat sunburn overnight for you. 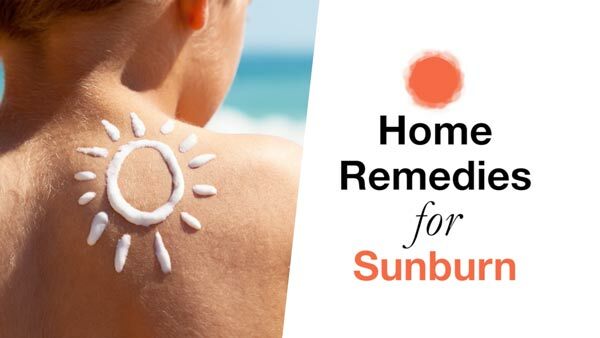 These home remedies can make you a bit more comfortable and help you to treat sunburn all by yourself if you’ve overexposed your skin to the sun and end up with sunburn. Too much exposure to UV light can damage your skin, making it red and painful. Sunburn is caused by the sunвЂ™s ultraviolet rays. Melanoma, a deadly form of skin cancer also gets developed after our skin suffers from a lot of sunburn. 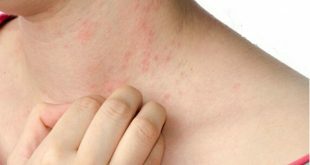 If not treated timely, the burn can lead to peeling or blistering skin. The ultraviolet radiation damages the DNA just like nuclear radiation does when it hits the skin cells. The redness of the skin and the burning sensation you experience are not the real damage; they are the result of your bodyвЂ™s response to the damage already caused to the DNA of the cells. 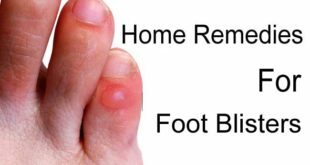 Blisters related to sunburn could take hours to days to develop. It could take hours for a dark-skinned person to get burned in that same type of sun exposure. It could take a full 24 hours for a sunburnвЂ™s full effect to surface. The first effects of sunburn may not show up for several hours, interestingly the sunburn process starts setting in before itвЂ™s even visible to the naked eye. A fair-skinned person can get a sunburn in less than 15 during the intense midday sun. Raw potato is excellent for relieving sunburn as the natural starches found in potatoes will help draw heat out of your skin. Potatoes really work well on minor skin irritations and soothing scratches, bites, and burns, as well as possibly reducing inflammation and are one of the best foods for this purpose. You can simply put two potatoes in a blender and make a smooth paste out of them. Apply the paste on the affected skin and let it dry on its own before washing it off. Repeat the process once daily for a few days until all your symptoms are gone. This is really one of the most effective home remedies for treating sunburn and you start to notice the difference in your skin within a few applications itself. It is almost magical in nature and helps to get rid of all the sunburn giving it a natural glow and shine. To benefit from aloe Vera, wash your face with warm water and slice aloe Vera leaf and squeeze out the gel. Apply a thin layer on your face. Let it dry before rinsing with cool water. You can repeat this treatment twice or thrice a day as it is one of the best remedies to treat sunburn naturally. 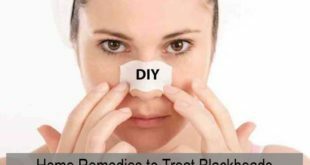 This is one of the safest and easiest remedies to get rid of redness on the face and helps to repair the skin and heal it from any of the damages caused to it. If you have burnt your face, hands, and chest, make a thin solution with a cup of cornstarch in 2 cups of water. You can use a washcloth dripping with the solution and allow it to dry on your skin before cleaning it off. It is a messy affair, so do this in the bathroom to make cleaning up easier. You can also make a paste of 2 tbsp of cornstarch with just enough water to form an easily spreadable paste and apply with fingers for smaller affected areas. When you have generalized sunburn or a burnt back, it may be more practical to sprinkle cornstarch on damp skin and spread it gently with a soft sponge or fluffy powder puff. It is a good idea to sprinkle it on the bedcovers to prevent chafing when you sleep. 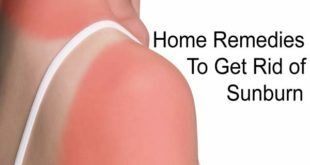 There is no doubt that it is an effective home remedy for treating sunburn really fast and gives you instant relief as well. ItвЂ™s important to use plain yogurt here rather than a flavored one if you want to extract the maximum benefits. Yogurt is one of the best remedies to treat sunburn and it helps to stimulate the healing process as well besides being soothing to the skin. It has long been used for a lot of skin treatments as well. When you find yourself red and sunburned, it can help you recover faster. There is an abundance of probiotics and enzymes that help to heal your skin when you use live cultured plain yogurt. Here simply take ВЅ cup of plain cultured love yogurt. Apply cool yogurt directly to your burn, and let it sit for at least 5 minutes but first wash your hands. When the pain has subsided, gently rinse it off with cool or tepid water. Feel free to use more if you want to cover more area, though a half cup of plain yogurt should be sufficient to treat facial burns at the most. Ideally, do this remedy at least twice a day, every day to help treat sunburn effectively and expedite the healing process. Only the leaves bark, and twigs or witch hazel are used medicinally for most purposes. 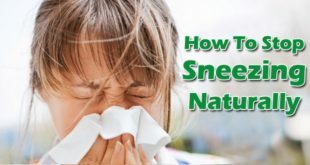 YouвЂ™ll most likely find witch hazel in a distilled liquid extract form, which simply distilled from the dried leaves, bark, and twigs of the plant. It may also be called witch hazel water. When it comes to healing a number of ailments and maladies witch hazel is a staple. The leaves of witch hazel contain chemicals called вЂњtanninsвЂќ which, when applied to directly to the skin, can help reduce swelling, repair damaged skin, and ward off nasty bacteria besides helping you to treat sunburn really fast. The amount of witch hazel you will need will depend on the area of the burn you want to cover. Pour the necessary amount into a bowl, and soak cotton balls or a clean cloth in the liquid. It doesnвЂ™t need to be dripping off – dab on just enough to cover the burn. Reapply as needed for pain. Do this at least twice or thrice a day, it will really help to treat sunburn easily and help to bring your skin back to normal. Papaya works really well for burnt skin and helps to treat sunburn quickly. It helps to supply the skin with the essential nutrients that it most needs in order to rebuild itself and help remain healthy. You should ideally use this remedy at least twice every day to treat sunburn faster. You can also eat a papaya on a daily basis when suffering from sunburn in order to expedite the healing process. HereвЂ™s just a piece if ripe papaya and mash it. Now apply the mashed pulp to the affected part and let it sit on the skin for at least 15 minutes. Use plain water to wash the affected part now. You will see the skin healing automatically within a few applications and the redness and inflammation reducing to a great extent. Papaya is rich in vitamin A and very good for the skin, which is one reason why it has been used as a natural remedy for many of the skin ailments. Green coconut water is an excellent product that can remove any kind of dark spots including sunburn. Coconut water is really rich in a lot of nutrients which are every healthy for the skin and hair and help to treat sunburn effectively. Here just store some coconut water in the fridge and wash your face well with soap and water. Pat it dry and then apply the coconut water on your face with the help of a cotton ball. Let it be there on the skin and donвЂ™t wash it off. Do this at least thrice a day for treating sunburn in the best way possible. You can also drink a glass of coconut water every day to help you when you are suffering from sunburn. In a few days, you will not only see the sunburn going off, but the coconut water will also help to give you a clear, smooth and soft skin. It is one of the most effective remedies for treating sunburn and helps to heal your skin really fast. Lemon has amazing acidic properties which help to repair the skin cells and help to remove all kindsвЂ™ of dark spots and blemishes from the skin as well. Every use of lemon helps to treat sunburn naturally. Here simply take some lemon juice and mix a little water with it. Now store this in the fridge. Whenever you suffer sunburn, just take a cotton ball, soak it in the juice and apply to the skin. Wash off after 15 minutes. Do this every single day without fail. You can also make some ice cubes out of the lemon water and rub the cubes on your skin. This will help to provide you a lot of relief and help to soothe the skin to a great extent. Here you simply have to take 1.2 cups of oatmeal and 1/4th cup of water. Turn oatmeal into powder by grinding it in a blender or food processor and then, mix it with water to form a paste. Apply the paste on the red and inflamed skin and leave it on but do not scrub or rub it as it may aggravate the redness. Let it sit for 15 minutes. Wash it off with cool water and use a soft and clean towel to pat it dry. 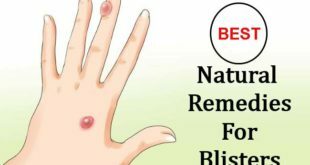 Follow this treatment method twice a day for one week for getting rid of sunburn and for healing the skin. 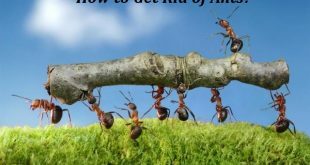 The acetic acid present in apple cider vinegar helps ease itching and inflammation. Apple cider vinegar can soothe sunburn pain and also speed up the healing process working as a great astringent for any skin type. Vinegar has been used since ages as an effective remedy for instant relief against a burn. 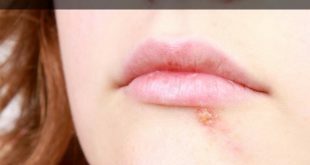 It is a natural astringent and has antiseptic properties that help to kill the infection from spreading and helps heal the burn really fast. 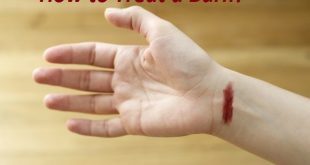 To use vinegar, just dip a cotton ball in a little vinegar and apply it to the burn, you can also use a mixture of vinegar and water and apply it to treat a burn.В It helps to provide relief from that burning pain too, being one of the most wonderful home remedies to treat sunburn effectively. With its strong anti-inflammatory, moisturizing, soothing and hydrating effects on the skin, itвЂ™s no surprise that honey is described as a вЂњunique gift of natureвЂќ and helps you to get rid of sunburn completely.В Honey, when mixed with olive oil and beeswax, has been found to benefit people with fungal diseases suffering from these symptoms. Here you have to take 1 tbsp of honey, 1 tbsp of olive oil, 1 tbsp of beeswax and a mild moisturizer that you may have. Now combine all the ingredients and apply on your face. Gently massage for five minutes and let it sit for 20 minutes. Then wash off with warm water and pat dry with a clean towel. Take the moisturizer and moisturize your face well with it. Continue doing it till you get rid of sunburn as it is one of the most effective home remedies to treat sunburn quickly. ItвЂ™s often used as a first aid procedure for injuries such as bumps on the head or bruises due to impact. ItвЂ™s definitely one of the easiest and most readily available home remedies to treat sunburn. It helps cool down the skin and tone down swelling and works well for facial flushing. Here just wrap a bunch of ice cubes in a towel and gently press the towel on your face. Let it be there for a few minutes. Do this several times a day until you find relief. You can also dip your towel in ice-cold water and repeat the steps above if ice cubes are not available. A cold compress is a popular remedy for pain and inflammation and will help a lot to get rid of sunburn within a few minutes itself. This wonderful red tomato is rich in lycopene, a carotenoid with powerful antioxidant capacity and that makes it ideal for any kind of skin ailment. Relax with tall glasses of tomato juice until your sunburn is resolved or better still just apply some natural tomato juice on your affected area and leave it on the skin for some time before washing it off. Some highly reactive particles called free radicals are formed as tissue damage takes place in the skin. 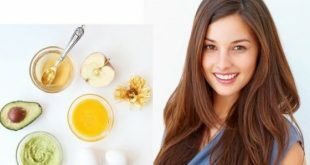 And it is essential to neutralize the tissues with by antioxidants otherwise they will keep damaging the skin even more. TomatoвЂ™s richness in antioxidants is great for the skin and also helps to protect the skin repairing the skin cells and getting rid of the redness in some time. There is no doubt it is one of the best home remedies to treat sunburn really fast. Coconut oil is excellent for any type of burn and of course sunburns. Here make sure you use pure homemade coconut oil rather than a branded one. Just take a little amount of the coconut oil and massage your skin well with it every day before bath. To enhance the power of coconut oil and to make the remedy more effective you can add a few drops of lemon juice to it as well. Let the oil sit on your body for at least 20 minutes. Coconut oil hydrates your skin and helps to cure the dryness that sunburn may have caused. 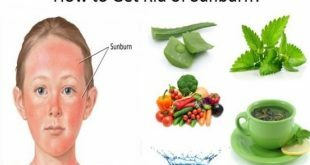 Do this every single day to treat sunburn naturally. ItвЂ™s always best to avoid sunburn in the first place. You donвЂ™t have to completely stay away yourself from the sun, but just avoid overexposure. 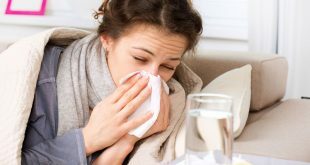 Usually, a few minutes are all someone needs to get sufficient vitamin D (you can always supplement if you need more). You just have to look around; there are too many good things already in your home, like milk, yogurt, apple cider vinegar and hydrating foods like watermelon in the event you do spend too much time in the sun. You can even eat a diet rich in lycopene (tomatoes) and omega 3s (wild-caught Alaskan salmon and sardines) to help prime your body to help naturally prevent sunburns to a certain extent. Previous How to Apply Bronzer all by Yourself?